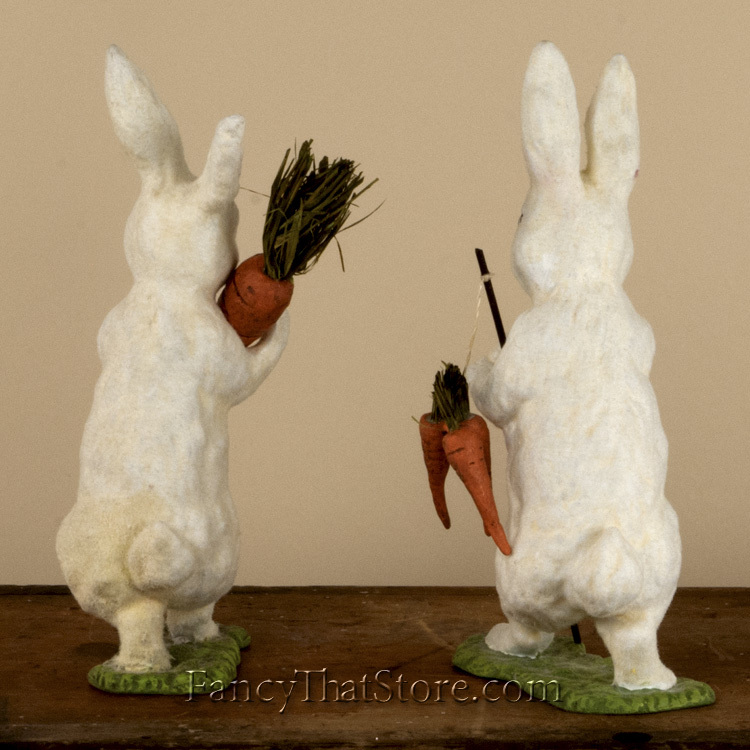 It looks like the Flocked Bunnies with Carrots from Bethany Lowe Designs are headed for trouble, but in the sweetest way possible! 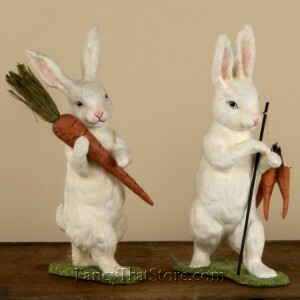 One little fella is cradling a paper carrot in his arms while the other Bunny has a long stick with carrots dangling from the end thrown over his shoulder. 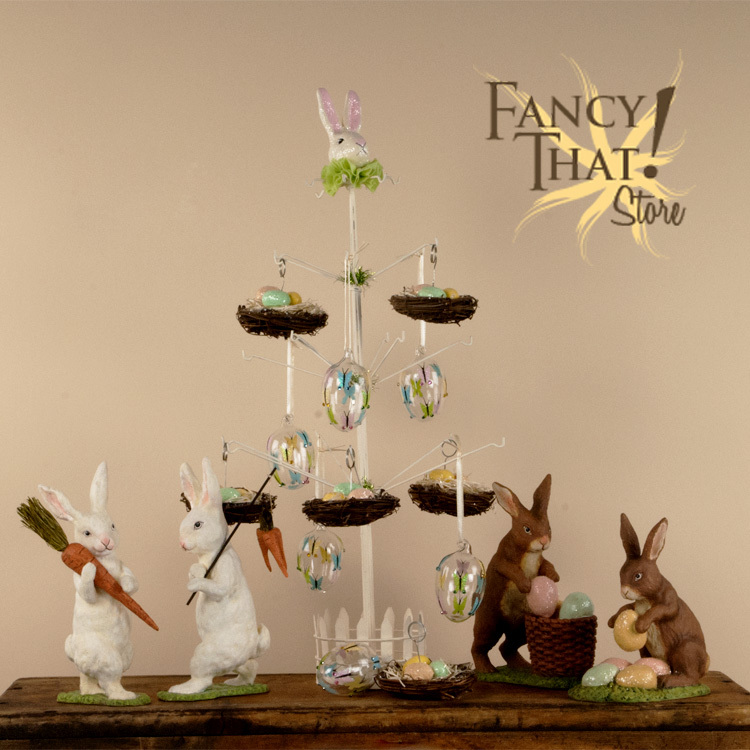 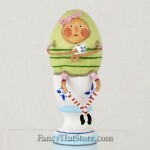 Use at the base of the decorated Easter Parfait Tree for a darling centerpiece. 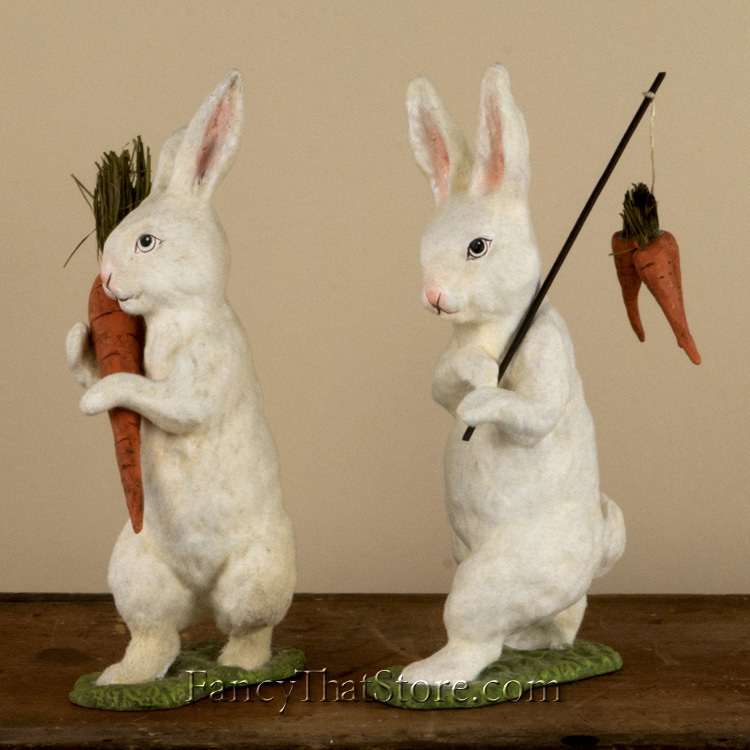 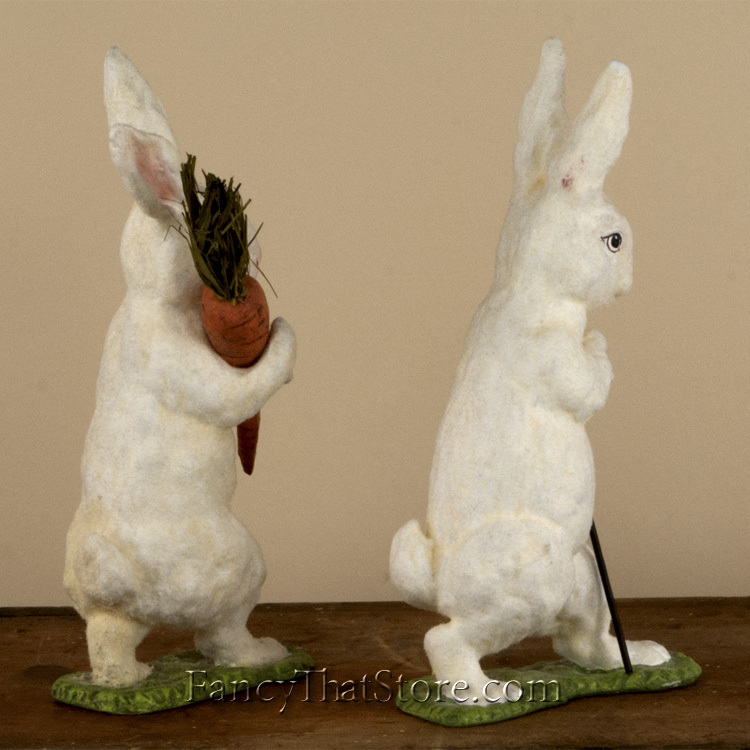 The Flocked Bunnies with Carrots from Bethany Lowe Designs look like they’re headed for trouble in the sweetest way! 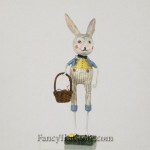 With Bethany Lowes’s “build a tradition” collection of vintage-inspired holiday goods, everything old becomes new again. 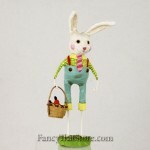 To learn more about Bethany Lowe Designs click here.